Being a certified Welder is different to certifications and qualifications to most other trades. Most trades require you to have a trade certificate which shows that you have completed your apprenticeship and the associated examinations and practical tests. While some employers may require the same from Welders before employing them, this is actually unusual. Usually the employer is mostly concerned that the Welder can pass the practical welding tests as required by the relevant welding code that the Welder will need to weld to. Such a code required test is usually called a "coding test". A Welder that has passed such a coding test is usually called a "coded Welder". The results of the coding test are captured on a document typically called a Welder Qualification Record, (WQR) although this term can be slightly different between different codes. This Welder qualification record is typically signed and "certified" by the employer and / or third party inspection organization. For this reason, a coded Welder is also often termed a "certified Welder". Many people will dispute that a coding or code qualification is the same as being a certified Welder. In fact, the definitions relating to these terms in many standards would suggest that they are different. Within industry these terms are however (rightly or wrongly) largely interchanged. Having said this, it will be worth your while to enquire exactly what an employer is looking for when they ask for a certified welder. The question should be: Certified to what? If they refer to a standard welding code like ASME IX or AWS D1.1, then they are indeed taking about code qualification. If they reference a standard such as AS 1796 (in Australia) then they are talking about something a little different. This certification is a little closer to a trade test certificate, because it is also based on theoretical knowledge and the demonstration of a wider set of Welder skills such as the use of cutting and gauging equipment. We will look at this definition of a certified Welder a little lower down on this page. For now, let us get back to coding. The advantage of the Welder coding methodology is that essentially anybody that can pass the required coding tests can do welding work on the components associated with the welding code that the coding tests were done to. The disadvantage of this Welder coding methodology is that Welders have to keep on doing these coding tests for their entire careers. Most of the time, when a Welder moves from one employer to another (which can be rather often for Welders working on construction projects or plant shut-downs) the Welder will need to re-do the coding tests. This means that even highly experienced Welders with a wide skill base will need to demonstrate even their most basic competence on a regular basis. This Welder coding system does have the basic ability to weed out people without the skills required to make code compliant welds, but it is also highly inefficient. It is also not fool proof, because often people manage to pass the coding tests that do not have the ability to deposit sound welds on a consistent basis. In short, sometimes people get lucky and pass a test that allows them to do work that they are actually not skilled enough to do. This can result in major loss of money and time, and even put people's lives at risk. If you are able to attain such a Welder certification, it may be worth your while, but please understand that in most instances you will still need to pass the necessary code qualification tests before you can do the work. These certified Welder schemes are helpful to employers to select potential Welder candidates to subject to the coding tests based on being "pre-selected" by a (hopefully) respected process. In the same way, it can help the Welder to differentiate him / herself from other candidates. Often these certified Welder schemes are however largely discounted, as employers tend to rather focus on previous experience of the Welder when compared to the work at hand. In short, being such a certified Welder can be advantageous, but it is rarely a requirement to be considered for employment. Employers are concerned with your past experience and reputation. This type of certification is only one way of demonstrating this. There are other ways to demonstrate ability, experience and reputation. The actual Welder coding tests are rarely standardized in any meaningful way. The Welder coding tests are based on the work that you, the Welder, need to be able to do on the job. Some types of work are very simple, so the coding tests do not require a high level of skill. For instance, if you will be required to just weld together small sections of structural steel with fillet welds in the flat position, then you will only be required to pass a fillet weld test in the flat position. Most people would be able to pass this after a couple of days worth of practice and instruction. 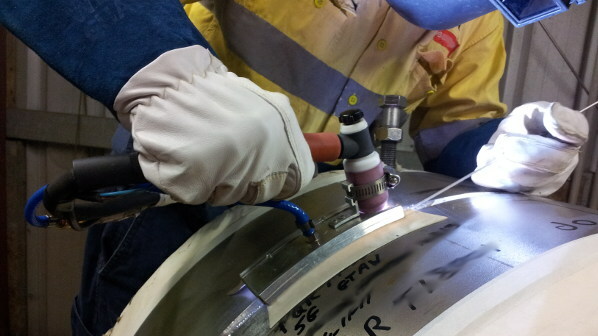 If however you will be required to perform a single sided pipe weld on a corrosion resistant alloy in a situation where you cannot rotate the pipe, then you will need to do a test that simulates this, which would be a much more difficult test. Once you start to think of all the different welding codes, welding processes, material types, welding positions etc. It starts becoming clear that potentially there are thousands of different coding tests that you may have to do in your career. To get an idea of typical Welder coding tests, click here. Welding codes tend to be jurisdiction specific. Historically different countries and / or regions in the world have developed their own codes. While theoretically it would be possible for everyone to just go to a single set of codes, there are political and strategic reasons that states and organizations may not want to do this. To get more information on the typical codes used for Welder qualifications, click here. When deciding what coding tests a Welder needs to perform, we need to ask ourselves what the extent of qualification is for any given Welder qualification test. If the Welder needs to perform a weld that is outside the extent of qualification of one of the Welder's existing coding tests, then the Welder will need to perform another Welder qualification test. The extent of the qualification of any specific Welder coding test is based on the qualified ranges of the relevant Welder essential variables of that specific welding code. These Welder essential variables are those factors that change the skill necessary to perform the welding. Typically these are factors such as the welding process; material type; material thickness; welding position etc. Click here to get more information on typical Welder essential variables. Are you in the Welder certification and coding business? Do you have some additional insights you would like to share? Please share your experience and insights regarding any aspect of Welder coding or certification that could help others.